Welcome to the Life is Strange 2 Episode 2 Collectibles locations guide that helps you find the total of 7 Collectibles locations in the PC, PS4 & Xbox One graphic adventure game. * “Draw The Line” (30 Gamerscore / Silver Trophy) — Start any drawing in Episode 2. * “A Private Journey” (40 Gamerscore / Silver Trophy) — Find all optional collectibles in Episode 2. The Timeline for all these in-game Collectibles locations is listed below. Tip: Each episode has 6 unique collectibles that you can “Look” at, as well as some areas to draw a sketch. You can “Play Episodes” and select specific parts of the Episode in order to find the missing optional collectibles. There is also a counter on this screen to help you figure it out. 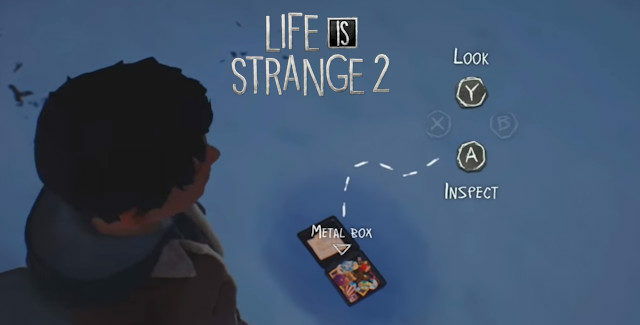 Where to find all Collectibles in Life is Strange 2 Episode 2? The in-game collectibles locations for the Collectibles are described in Maka’s detailed video guide with handy voice-over tips. The Collectibles are listed in the step-by-step video, in the order that they appear chronologically. I hope these tips helped you get all of the Collectibles hidden in the game. Huge thanks to Maka for the guide video and tips. Please comment if you have any additional Life is Strange 2 Episode 2 Collectibles location tips of your own, we’ll give you credit for it. – Thanks for visiting!